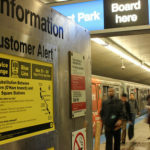 An opening ceremony was held by Chicago Mayor Rahm Emanuel and CTA President Forrest Claypool earlier today to celebrate the opening of the brand new Cermak-McCormick Place station on the Green Line! 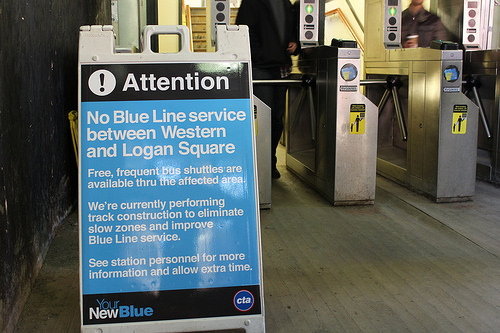 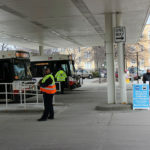 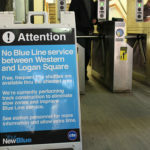 This new station serves McCormick Place, the growing area near historic Motor Row and provide a crucial additional transportation option for the Near South Side. 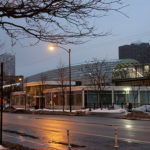 The station, with entrances on both sides of Cermak and at 23rd Street has two elevators, an island platform (featuring full canopy coverage, heaters, and benches), bright lighting, security cameras, new static and digital signage, a Divvy station and plenty of bicycle parking. 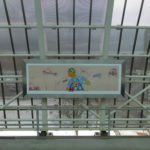 The station also has art in the form of eight, 4’x12′ panels by Bronzeville-native artist Hebru Brantley who casts his own comic book-style characters to celebrate the nearby Motor Row Lankmark District. 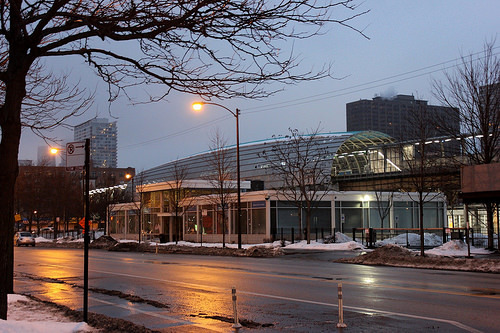 Motor Row once had the nation’s largest concentration of car dealerships and was also home to the Chess Records recording studio and the Chicago Defender newspaper. 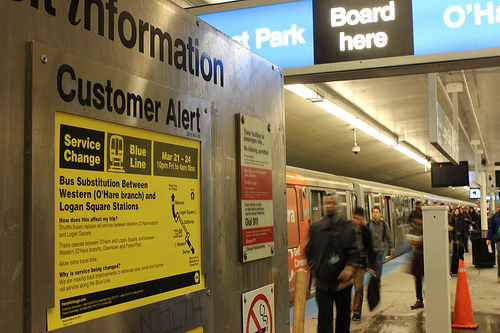 The new station, part of billion in transit investments announced by Mayor Emanuel since 2011, is located near the intersection of Cermak Road and State Street will provide much-needed access to rapid transit for Near South Side residents and businesses. 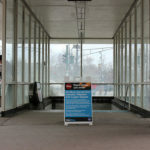 It fills in a major gap in CTA service that has existed in the 2.5 mile stretch between Roosevelt and 35th/IIT stations since the previous Cermak station at that location was demolished in 1977.